Do You Really Want Abortion Abolished? REALLY? Would you consider yourself someone who truly wants abortion abolished? I mean really, really wants abortion abolished? If yes, then I’m saying to you today that I will believe you when I SEE you actually out in the public square exposing the evil of baby murder YOURSELF. Why, you ask? Because sadly, 75% of professing evangelical, born-again Christians BELIEVE baby murder SHOULD BE LEGAL in "some cases." The official Gallup polls prove it. And if you don't believe that, I challenge you to go around your church and start asking people if they will help you be a voice for the preborn and actually labor with you to END ALL of baby murder with no exceptions, and you'll discover real fast the large number of people who will instantly distance themselves from you; or become hostile toward you; or will flat out tell you that they, themselves, or a friend of theirs HAD TO HAVE an abortion because it was "necessary;" therefore, they SUPPORT a person's decision to get an abortion. There are two key bits of information in this video that reveal two facts about our abortion holocaust. (1) Everyone in the discussion panel (including the caller) confirms (by default) that sidewalk counseling is almost completely FUTILE when it comes to being a method in rescuing the preborn. And (2) Crutcher asserts that MOST of the women going into these killing centers are Christians. Given these facts, I would implore all Christian advocates for the preborn to think more critically about the activity that they're engaged in with regard to being involved in the fight to actually END abortion. This video clip should serve as evidence that we need to spend the majority of our time going BEYOND the abortion facilities to being out into the culture at large to EXPOSE the violent act of abortion out in the public square over and over and over again. We need to saturate every parade, sporting event, concert, carnival, graduation ceremony, etc. We need to STOP with the mindset of waiting until women are already in a place of making a decision to murder their baby and start having more of a mindset of going heavy on the OFFENSE to reach these women BEFORE they find themselves facing an unplanned pregnancy. If we go talk to women while they are in line waiting to get into a sporting event or a concert, or a conference, etc. we could be far more effective in changing the mindset of the culture at large from a "pro-choice" mentality to a culture that truly values the lives of the preborn. And given that Crutcher asserts the reality that MOST of the women going into these killing centers are "Christians," that speaks volumes about how our biggest mission field is the CHURCH!! 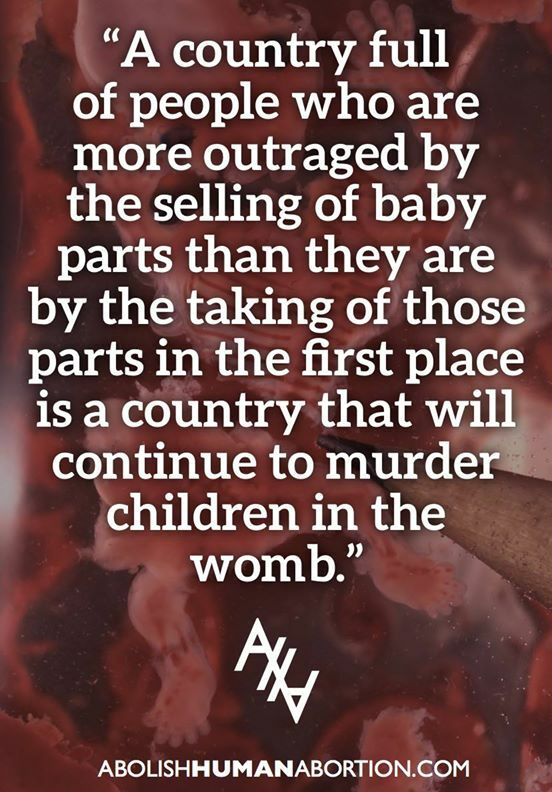 It's time to engage the culture at large on the truth of baby murder. 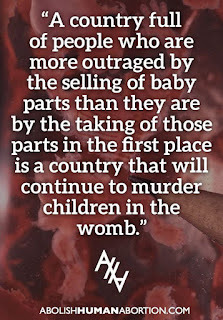 Get yourself some abolitionist equipment and supplies at this website: www.AHAgear.com and start being a voice for your preborn neighbors!